Josh Manley, senior pastor of the Ras Al Khaimah Evangelical Church in the United Arab Emirates, has recently written an article which was published on The Gospel Coaliton’s website. 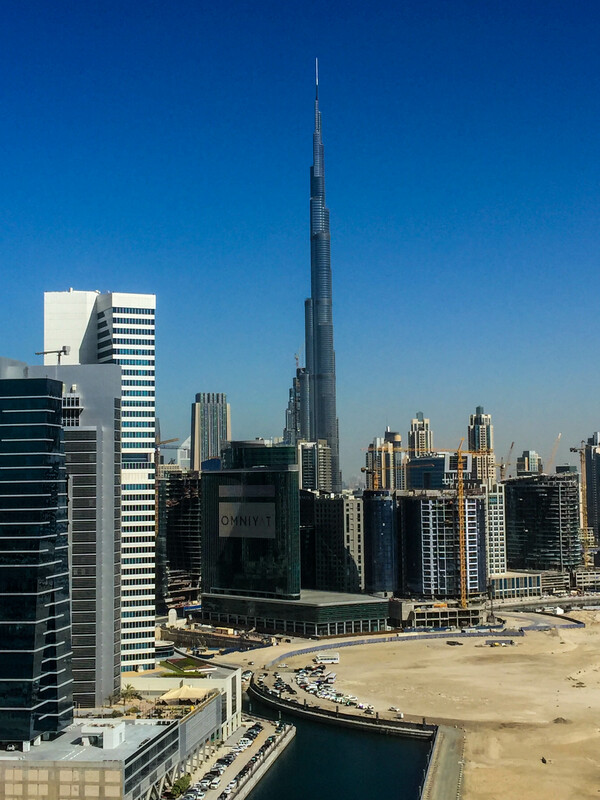 Surprising to me is how much attention these 9Marks churches in the UAE garner in the USA. I would guess the RAK church has 50 members. The Gospel Coalition is a para-church organization; generally it is a forum which gives voice to celebrity Christian “leaders.” Former celebrities who have resigned from the Gospel Coalition Board include C.J. Mahaney, Joshua Harris, Mark Driscoll and Tullian Tchividjian. Celebrities like D.A. Carson, Tim Keller, Matt Chandler and Kevin DeYoung are current Board members. 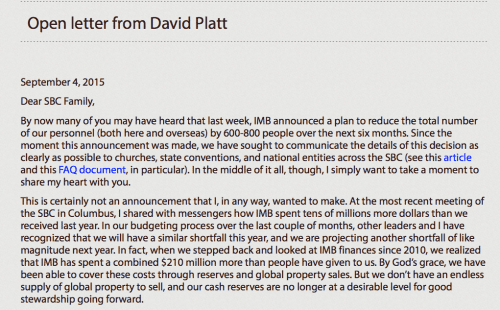 Normally you will not see unkown pastors of small churches getting articles published on the TGC website. But, as the saying goes, “it’s not what you know, but who you know” that matters. 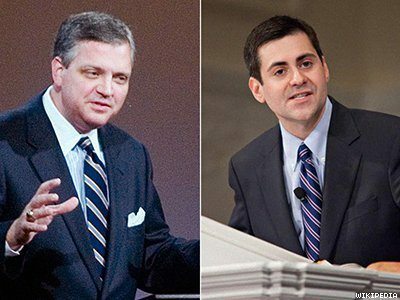 Manley has friends in high places, a graduate of Southern Baptist Theological Seminary, Manley is friends with Mark Dever, John Folmar and Albert Mohler. Prior to Manley moving to the UAE he worked for Albert Mohler. Manley was handpicked by John Folmar of UCCD to plant the RAK church. Folmar is good friends with both Albert Mohler and Mark Dever. He served as an assistant pastor at Capitol Hill Baptist Church for several years prior to becoming senior pastor of UCCD and in 2012 Albert Mohler awarded John Folmar the SBTS distinguished alumni of the year award. 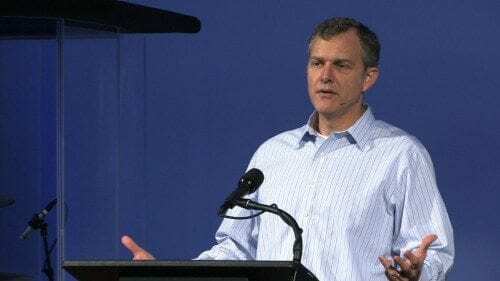 In additon to Manley’s powerful friends playing a role in getting his article on TGC website, there seems to be a mystique among American Evangelicals for any type of Christian ministry carried out in the Middle East. 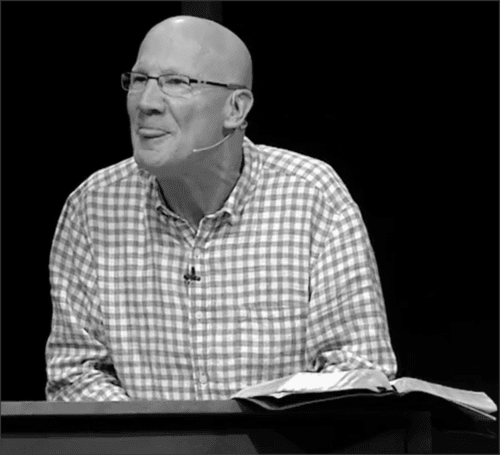 Observe Pastor Emeritus Piper in the video below for a great example of what I mean. I imagine you are curious about the subject matter of Josh Manley’s article on the Gospel Coalition website. I would urge you to go here and read the article for yourself. Manley doesn’t break any new ground in his article, rather he uses his forum to once again emphasize the underlying principle of 9Marx churches – the importance of formal church membership. It appears this recurring theme is akin to an oath of allegiance to the 9Marx organization. I have mentioned in other articles how Folmar preaches about the importance of formal church membership in nearly every sermon. It would seem there is not a passage in the Bible that doesn’t contain this message. (Eisegesis anyone?) Here is a brief example culled from several of his sermons. Even though the message of the importance of formal church membership is often heard in the 9Marx churches of the UAE, apparently it is not being sufficiently grasped by the average pew-sitter. Therefore, the Big Guns of 9Marx will be making another appearance in Dubai in early January. 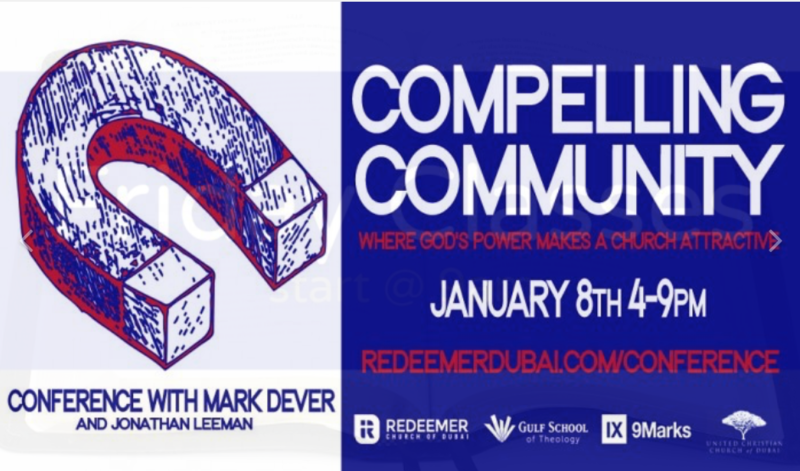 That’s right, Mark Dever will be appearing for probably the 4th or 5th time, along with his lieutenant, Jonathan Leeman. 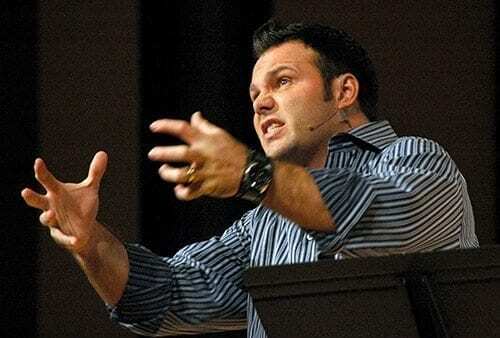 I would now like to analyze what Josh Manley says about church membership. Manley’s quotes will be italicized, my comments will be in blue. Simply put, church membership is how the divinely ordained assembly of God’s people define the relationship between each other. It’s the mechanism that brings clarity to the relationships in the congregation. It’s how the good lines of God-given authority are exercised. Could I have some Scripture passages that lend credence to your assertions Mr. Manley? Because I am unable to find anything in the Bible commanding me to become a member of a local body of believers. But as with anywhere, fringe involvement in the church takes its toll on the soul and adversely affects the witness of Christ. 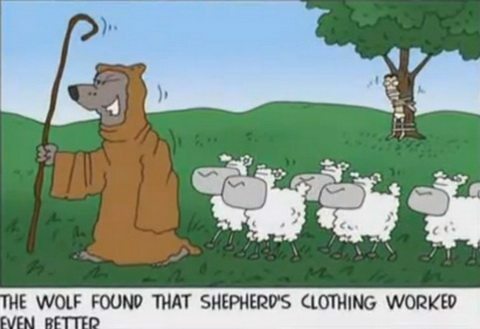 Define “fringe involvement.” If believer “X” and believer “Y” both attend your church regularly, donate money and otherwise display godly character but believer “X” has not formally joined your church whereas believer “Y” has, would you consider believer “X” to be one of the “fringe involvement” crowd? Further how would this adversely affect the witness of Christ? You state further down that unless I am a formal member of your church you will not know me. If you would not know me, how would an outsider know me? I think your argument is disingenuous. For those struggling spiritually, I long for them to experience the blood-bought graces that could be theirs through intentional, committed membership in the body. Surely you do not intend to say that members of your church do not have spiritual struggles. I believe the Christian life is one of constant spiritual struggles, irrespective of whether they buy into your view (which has no Biblical precedent) of formal church membership. “Church membership enables pastors to know the souls over whom they’re called to watch and for whom they will one day give an account before God” (Heb. 13:17). So am I to believe that if I acknowledge Christ as my Savior, am baptized, am a member of the church universal, attend Josh Manley’s church regularly and fellowship with the other 50 or so believers from that church, yet do not formally become a church member Manley will not know my soul? The position of a paid pastor is not mentioned in the Bible, nor can I find any passage stating that I should submit to the local church through formal membership. Further, since formal church membership is nowhere mentioned in the Bible it does not follow that the vehicle of formal church membership tells my fellow believers that “they can expect the kind of Christ-exalting, Spirit-given commitment Christ has purchased for us at the cost of his own blood.” Undoubtedly believers in a local fellowship will love each other and be committed to each other, but to attempt to say this will be so because of formal church membership is an example of eisegesis. “But none of you should be called a teacher. You have only one teacher, and all of you are like brothers and sisters. Don’t call anyone on earth your father. All of you have the same Father in heaven. None of you should be called the leader. The Messiah is your only leader. Whoever is the greatest should be the servant of the others. If you put yourself above others, you will be put down. But if you humble yourself, you will be honored. “This clear statement of Jesus gives background to why you will not find any paid, professional, pastor/teachers in the New Testament. Not one. Notwithstanding this clear teaching of Jesus, as well as the unmistakable absence of a professional clergy class in the New Testament, is it not stunning that the central and non-negotiable feature of today’s western churches, the vast majority of which claiming to be modeled after the New Testament, is exactly that: the paid, professional pastor? All of this, and much more, is the fabrication of the human ego, desperate to maintain security and control over the human resources of the masses. It is a serious and historic tragedy. It has reduced adult believers from living confident lives in the understanding of their spiritual identity, to stumbling along like toddlers, always needing the helping hand of the spiritual parent, from whom they must never stray. Once again, since Manley hinges his conclusions on formal church membership, which is nowhere to be found in the Bible. I would therefore necessarily say that his conclusions are wrong. He is again engaging in eisegesis. When we are born again we are placed in the church universal. This is no casual relationship. It is not my being in “a clearly and biblically defined relationship that enables the church to be all that she’s called to be” rather, it is Jesus Christ, the head of the church, that enables the church to be all that she can be. The above statement may sound nice, but what does it mean? I should be looking to define my relationship with a church as soon as possible? How is this done? I assume Manley would say by becoming a formal member of the church. What does the Bible say? 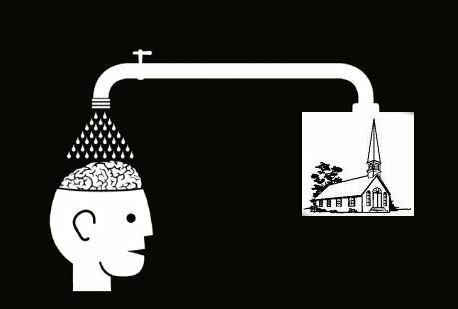 Since Manley mentioned earlier that he can only know my soul if I formally join his church I assume this statement has meaning only through his prism of formal church membership. Additionally, is the only reason I should seek to get to know other believers is so they can know they can count on me? Count on me for what? To put some money in the offering plate? To be an official church greeter? To bring cookies and coffee? To not make waves? To nod my head in agreement with everything the pastor says? My experience is I can count on the pastor to be my friend right up until the point I disagree with him on anything. For the glory of Christ, the good of his people, and our witness to him in the world, let’s labor for churches in which relationships are clearly and biblically defined so that the world might embrace him. Yes sir, if only our churches have clear, biblically defined relationships the world will embrace Christ. That must be the key to all the great revivals throughout history – said no one ever. In conclusion, it is clear to me that Manley, and 9Marx in general, place way too much emphasis on “formal church membership.” This membership requirement cannot even be found in the Bible. It is my opinion that their obsession with this man made doctrine has a negative impact on Christ’s church by causing unnecessary divisions and actually driving people away from the local church. Viola, Frank; Barna, George (2008-01-17). Pagan Christianity? : Exploring the Roots of Our Church Practices . Tyndale Momentum. Kindle Edition. Thanks Eagle, and thanks for stopping by. The funny thing about contracts is that they’re usually two-way streets. Josh Manley compares Church contracts to Fitness Club memberships in the article referenced above. However, Manley’s contract demands a one-way commitment in which individuals tithe 10% of their income to him, essentially, as he’s not telling anyone what he’s doing with it. In exchange for this money, he commits to providing zero services. By contrast, a gym that said, “give me $88/month in exchange for nothing,” probably wouldn’t be in business for long. If Josh Manley wants a financial commitment from people before he will take an interest in their spiritual needs, perhaps he should pledge not to accept remuneration from conferences or spend time writing silly articles for The Gospel Corporation. paid, professional, pastor/teachers in the New Testament. NOT one of His Disciples had, or needed, the Title/Position, pastor/leader. Spreading the Gospel, Teaching ALL nations, with-out that Title/Postion. That’s also what it took for me to seek Truth. Jesus. Now this is a home run, Todd! Excellent. Thanks Dee. I appreciate your kind words. Great to hear from you again A. Amos Love! You are always like a cup of cool water given to a weary desert traveler! If not now? – When? Gonna go read this again…. Hey Buddy!, I found this information for you: "Why Are The UAE Churches Obsessed With Formal Church Membership?". Here is the website link: https://thouarttheman.org/2015/12/13/why-are-the-uae-churches-obsessed-with-formal-church-membership/. Thank you.